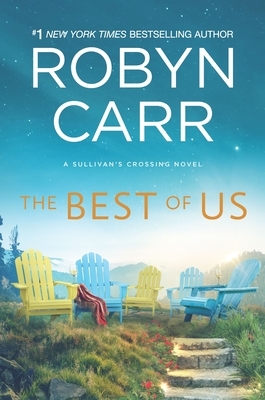 In Sullivan's Crossing, #1 New York Times bestselling author Robyn Carr has created a place where good people, powerful emotions, great humor and a healthy dose of common sense are the key ingredients to a happy life. Sullivan's Crossing brings out the best in people. It's a place you'll want to visit again and again.Dr. Leigh Culver loves practicing medicine in Timberlake, Colorado. It is a much-needed change of pace from her stressful life in Chicago. The only drawback is she misses her aunt Helen, the woman who raised her. But it's time that Leigh has her independence, and she hopes the beauty of the Colorado wilderness will entice her aunt to visit often.Helen Culver is an independent woman who lovingly raised her sister's orphaned child. Now, with Leigh grown, it's time for her to live life for herself. The retired teacher has become a successful mystery writer who loves to travel and intends to never experience winter again.When Helen visits Leigh, she is surprised to find her niece still needs her, especially when it comes to sorting out her love life. But the biggest surprise comes when Leigh takes Helen out to Sullivan's Crossing and Helen finds herself falling for the place and one special person. Helen and Leigh will each have to decide if they can open themselves up to love neither expected to find and seize the opportunity to live their best lives.